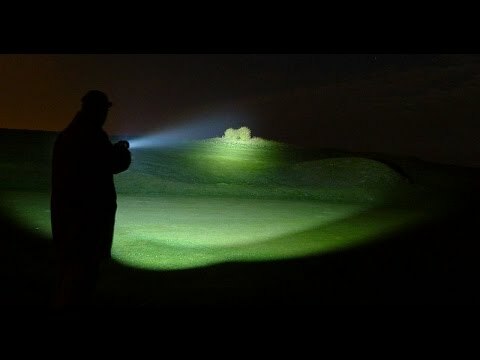 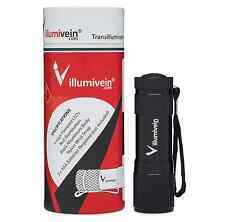 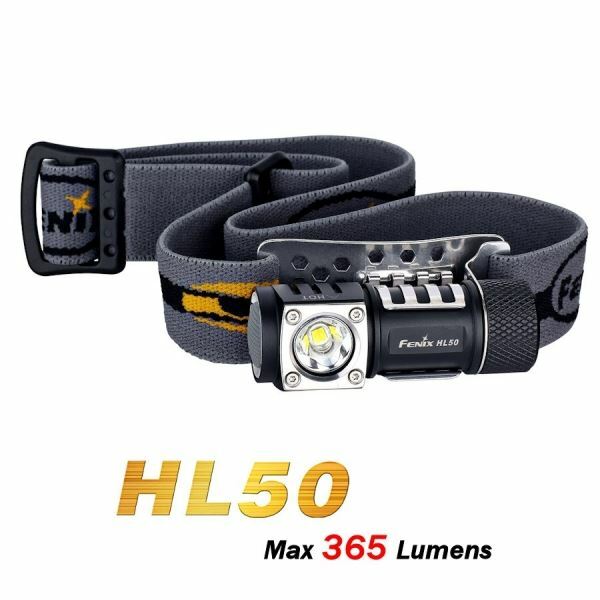 4000 Lumens flashlight-uses 4 18650 batteries-reach 650 m-autonomy up to 270 hours to 35 lumens-waterproof IPX8. 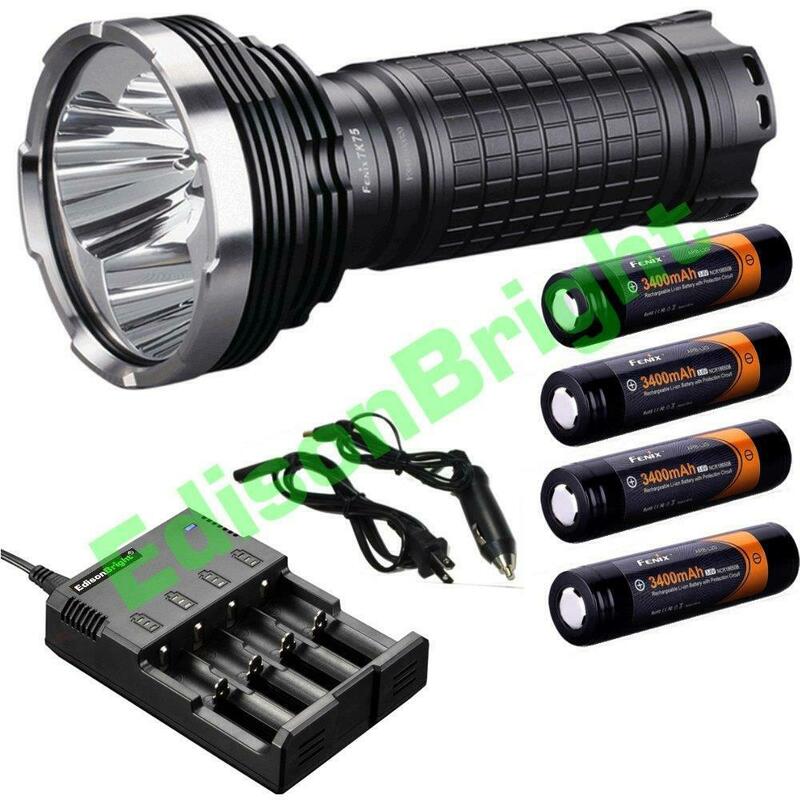 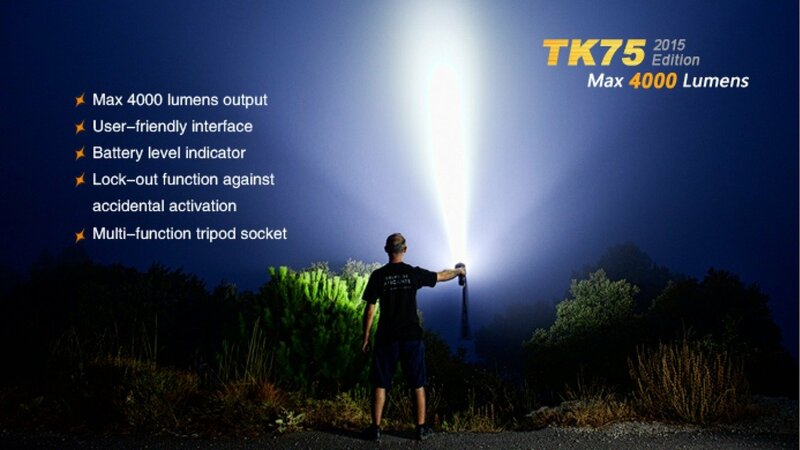 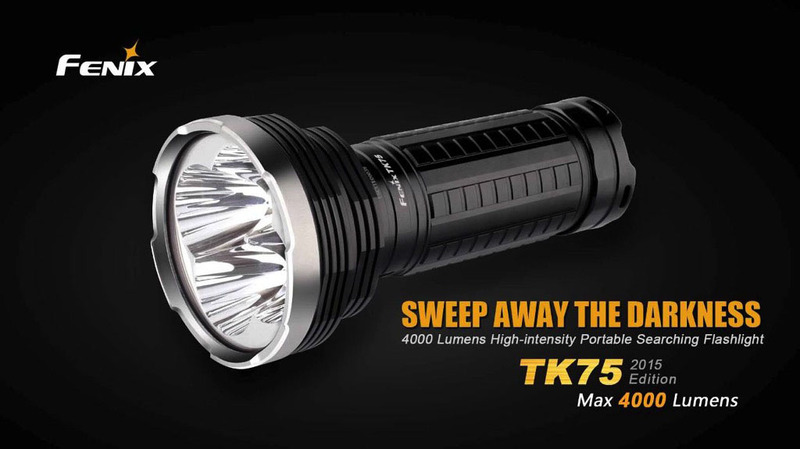 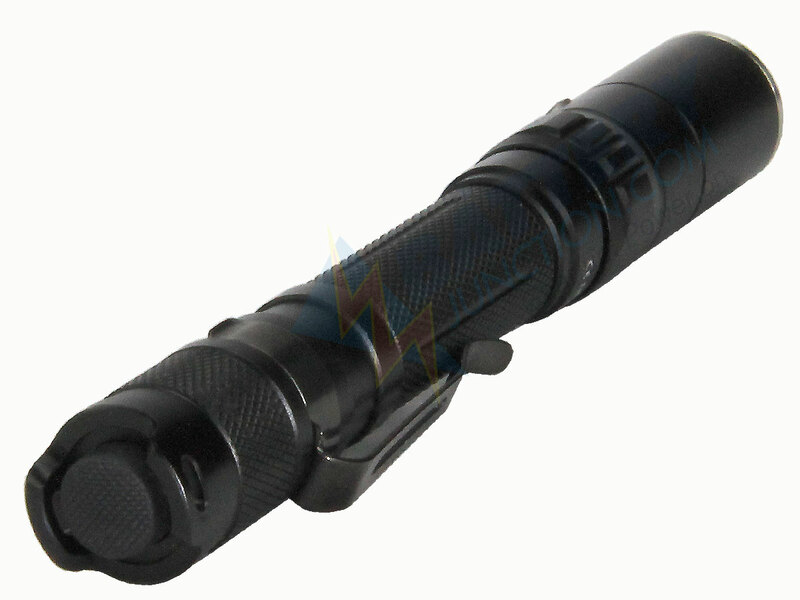 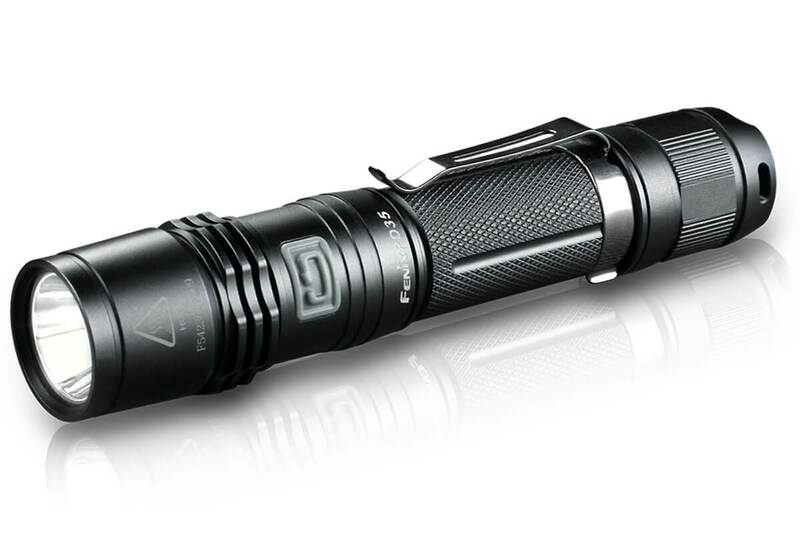 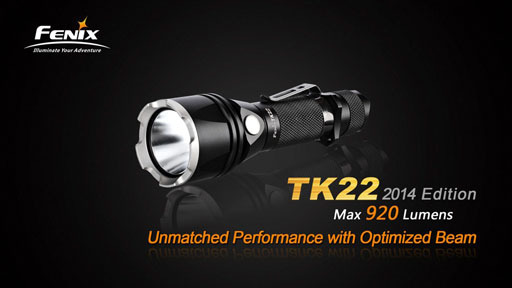 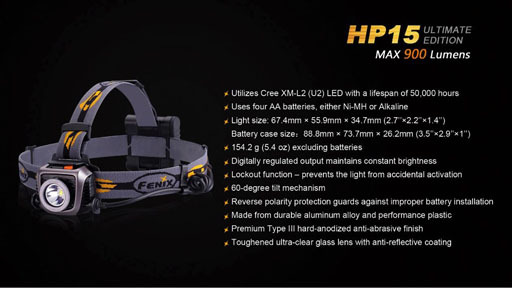 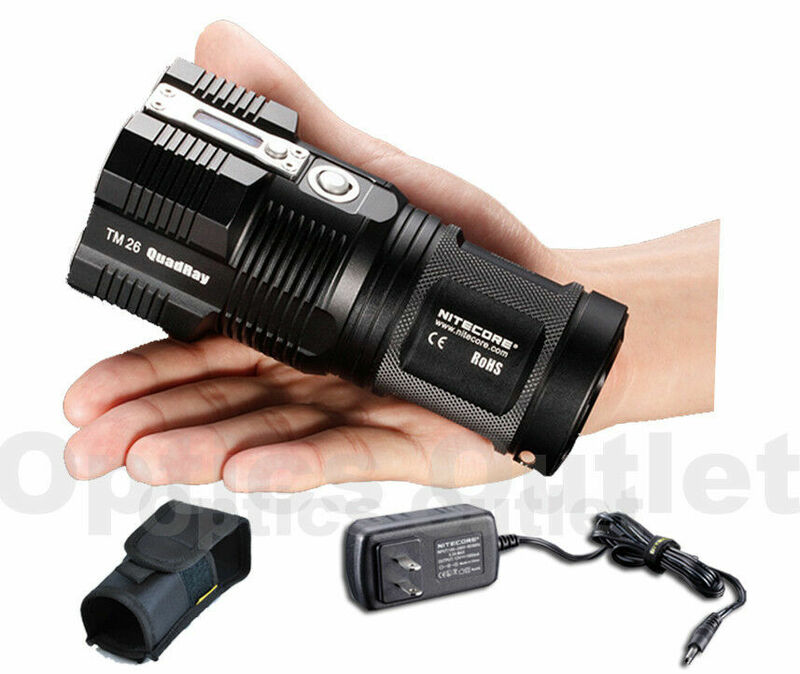 The Fenix TK 75 lamp is one of the most powerful flashlights from Fenix website, it generates a lumen 4000 lumens. 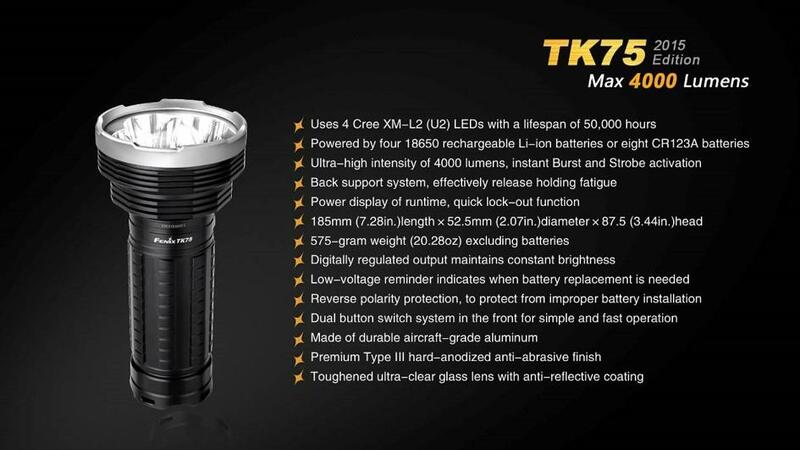 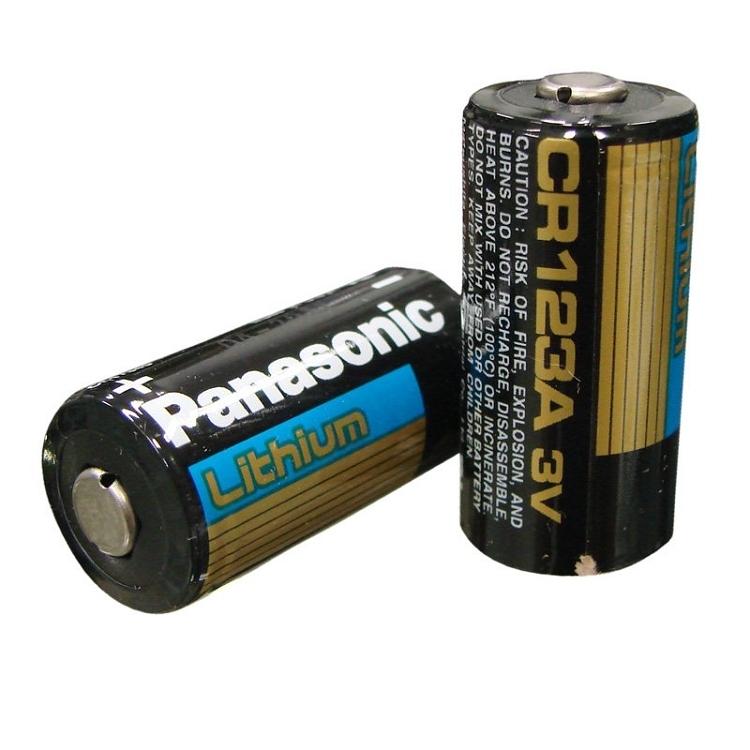 The TK75 is supplied without batteries in its basic version, however you will find on our site several versions, a livery with 4 battery 2600 mAh of Efest brand, the other with 4 3400mAh Panasonic batteries, and two other versions equipped with a charger intellichargeur to four slots and more, all of these versions are of course at a promotional price. 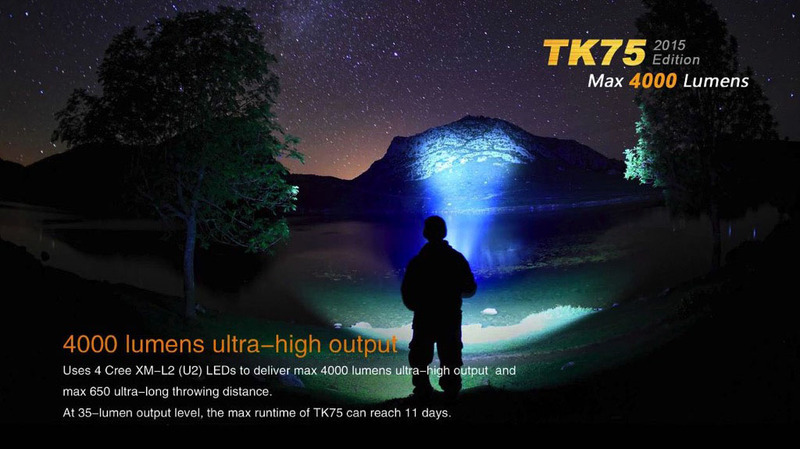 The fenix TK75 lamp has a range of 650 meters with an opening angle of 80 °. 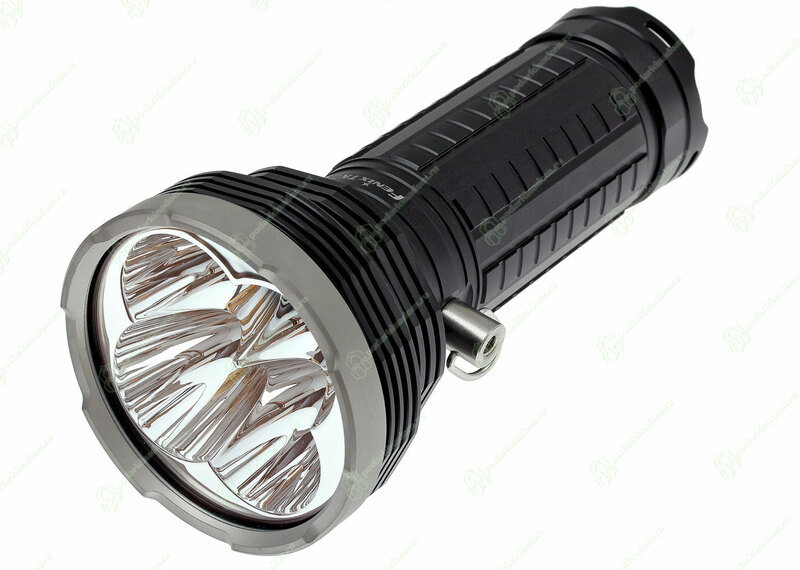 It now boasts a temperature to preserve control leds and electronics, as soon as she reaches the 65 ° it will pass in the lower mode.